So with a new week, there's a new gift for Superstars! 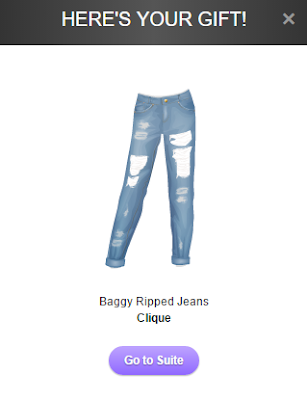 This time, it's Clique Baggy Ripped Jeans. Even though I had already bought a pair of these - I'm a fan of ripped jeans - I definitely find this gift useful! I believe one never has too many ripped jeans, as different styles go along with different outfits. What do you think about this gift? Do you like it?